Pres. 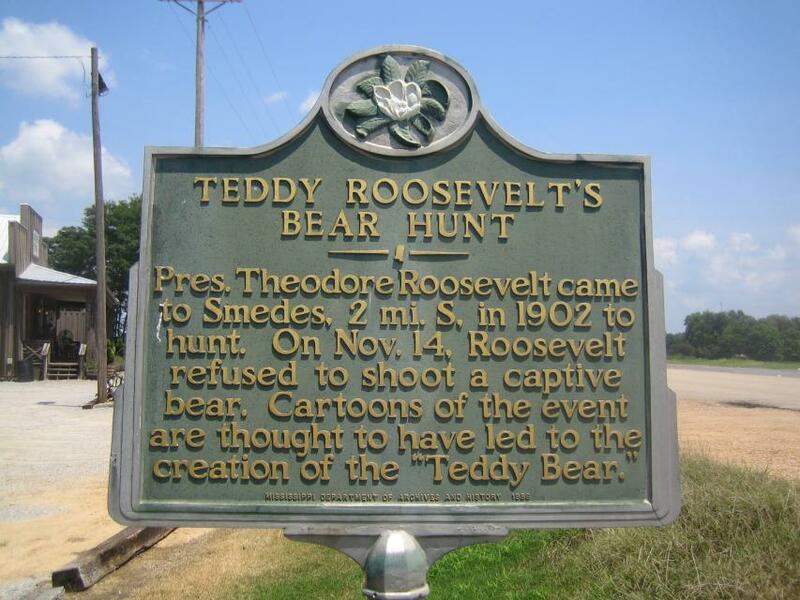 Theodore Roosevelt came to Smedes, 2 mi. S, in 1902 to hunt. On Nov. 14, Roosevelt refused to shoot a captive bear. Cartoons of the event are though to have led to the creation of the "Teddy Bear." This marker can also be identified by its HM code. You can use the hashtag #HM1IP5 in tweets, and any other place where you might refer to this marker, including when searching on this site.